Authorities announced Friday that the reward amount had increased to $50,000 “with the help of Jennie-O Turkey Store,” the company that owns a turkey hatchery and processing plant where Jayme’s parents worked in Barron, Wisconsin. The reward was previously at $25,000. 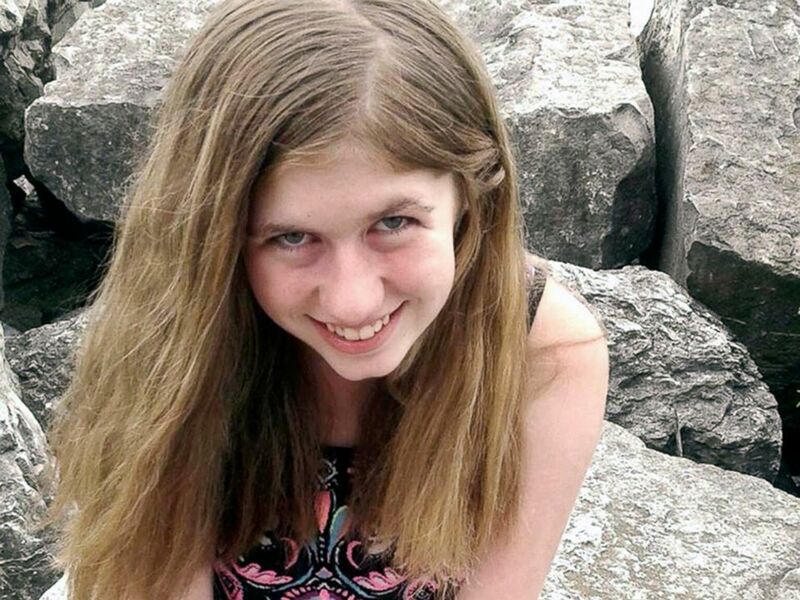 “At this time, I want to thank Jennie-O and all of its employees for their cooperation during this tragic time for them with the loss of two of their employees and their willingness to help bring 13-year-old Jayme home,” Barron County Sheriff Chris Fitzgerald said in a statement Friday. A joint funeral service to commemorate the couple took place Saturday afternoon at St. Peter’s Catholic Church in Cameron, Wisconsin. A private family burial will be held at a later date, according to an obituary posted by Rausch and Steel Funeral Home in Barron. Hundreds of volunteers gather, Oct. 23, 2018, in Barron, Wis., to assist in the search for Jayme Closs, a missing teenage Wisconsin girl, whose parents were killed in the family’s home. Authorities are looking for two vehicles of interest after cars were spotted near the Closs home around the time of the crime, the sheriff’s office announced Monday. One vehicle was likely a red or orange 2000 to 2014 Dodge Challenger, based on surveillance footage from nearby homes and businesses. The second car was likely a black 2006 to 2010 Ford Edge or a black 2004 to 2010 Acura MDX, according to the sheriff’s office. 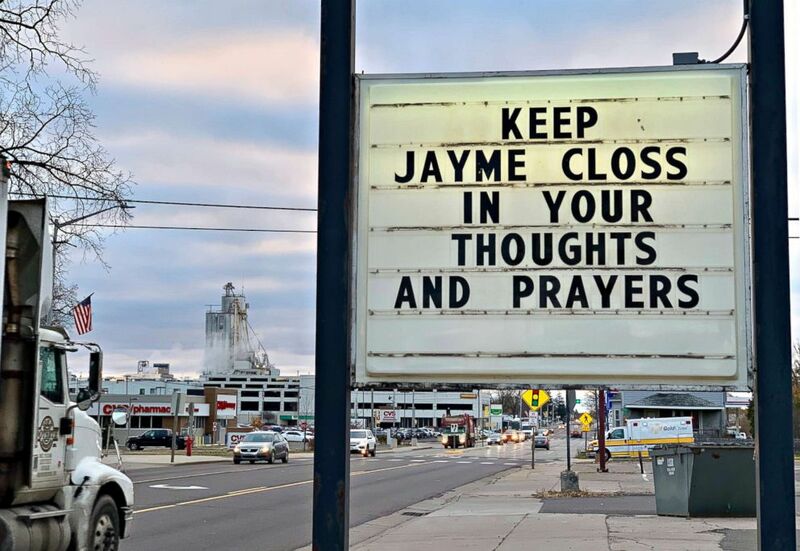 A sign is seen in the small town of Barron, Wis., Oct. 23, 2018, where 13-year-old Jayme Closs was discovered missing Oct. 15 after her parents were found fatally shot at their home. A search was being organized to find the couple’s missing daughter. Investigators believe Jayme is still alive, and they won’t stop searching until they bring her home, the sheriff told ABC News on Tuesday. “The hope is what we’re riding on,” Fitzgerald said. 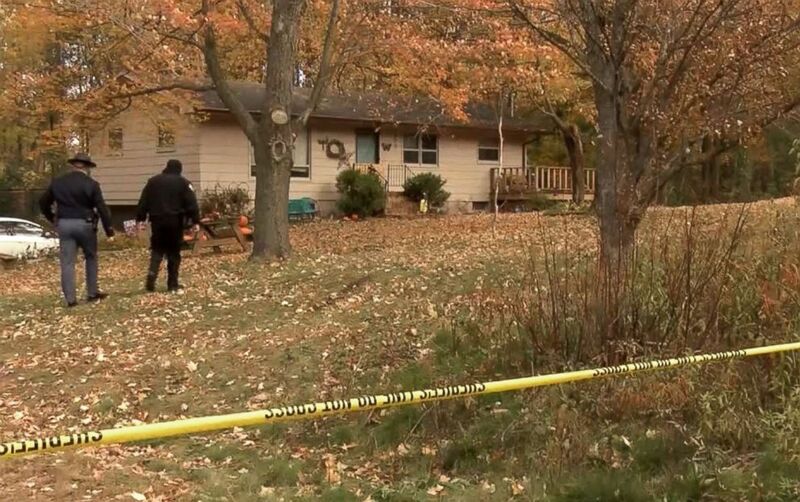 On Oct. 15, just before 1 a.m. local time, someone called 911 from Denise Closs’ cellphone, and the 911 dispatcher heard “a lot of yelling,” according to records from the Barron County Sheriff’s Department obtained by ABC News. The dispatcher called the number back but was unable to leave a voicemail. More attempts were made, but the phone went unanswered. Authorities also tried calling the home’s landline but it was disconnected, records show. “An entire state has been racked with Jayme’s disappearance, and the death of her parents,” Wisconsin Attorney General Brad Schimel said in a statement Oct. 18. An Amber Alert has been issued for Jayme. Anyone with information is asked to call the sheriff’s office tip line at 1-855-744-3879 or email jaymetips@co.barron.wi.us. ABC News’ Rachel Katz and Emily Shapiro contributed to this report. Brexit: What is it, and what are the key issues?